Skills are nothing but learning from past experiences. Developing a good essay writing skill is a matter of continuous effort that is put into one concentrated approach to give you that desired output in the end. Here are some interesting skills that will allow you to enhance your essay writing potential and show you the staircase to become a proficient writer. If you enjoy something, you will definitely look forward to contribute to the same. Reading is the key to become a good writer because it will create an interest within you to furnish your own viewpoint. Moreover, when you are reading with a lot of interest you are more likely to pick up points that will make your writing style and tone stronger. As a writer, you are required to express yourself. If you keep on shying away from what you personally feel about a particular topic then you are in doing no good to your writing skill. As a writer you are required to present a viewpoint to the readers whereby they will get to learn something different from the prevailing notions. This is why good writers are often put into the category of ‘all time greats’. Grammar is absolutely vital when it comes to essay writing. Do not forget that you are presenting a piece to writing to a critic who prefers structure and flow. Maintaining a flawless grammar throughout your content is going to put you in their good books and you will be likely to score more. The best way to understand others is to step in their shoes. Always try and think about what the readers are going to infer from your writing. This will give you a clearer vision of the way you should present your opinions and facts to the readers. Do not try to flabbergast the readers by stuffing difficult words rather try and keep it simple. Proofreading will allow you to discover the flaws in your essay before others do. It is like looking yourself in the mirror for the one last time before you attend a party. Right from the hair to the shoe check on every single details such that you are at your best! 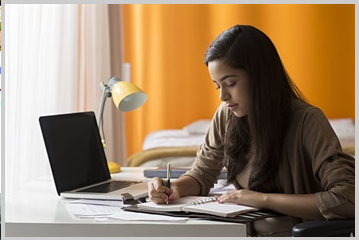 To know more about Essay Writing Skills, visit my blog.